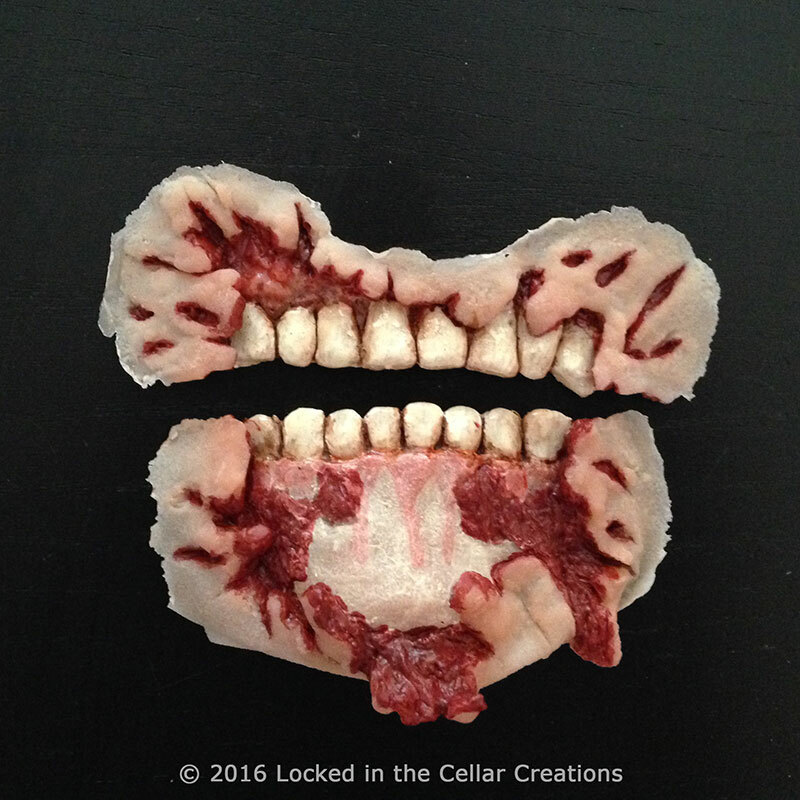 When you wear this disturbingly realistic Zombie Mouth Prosthetic, it will look like your mouth has rotten away, revealing the teeth, gums and jaw bone underneath. 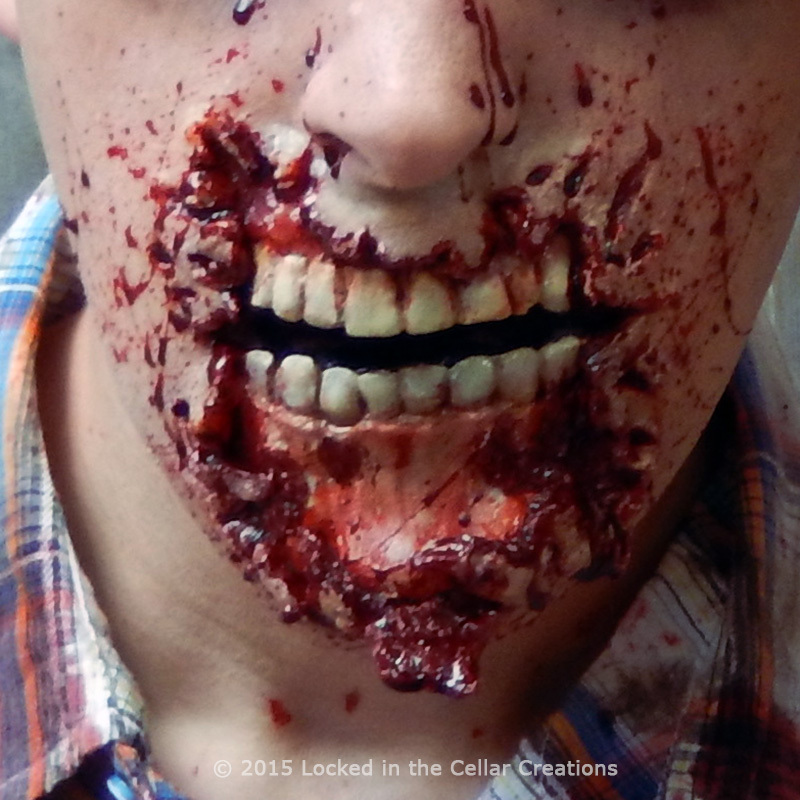 We designed this prosthetic to be highly detailed, anatomically correct, easy to apply/blend and comfortable to wear! 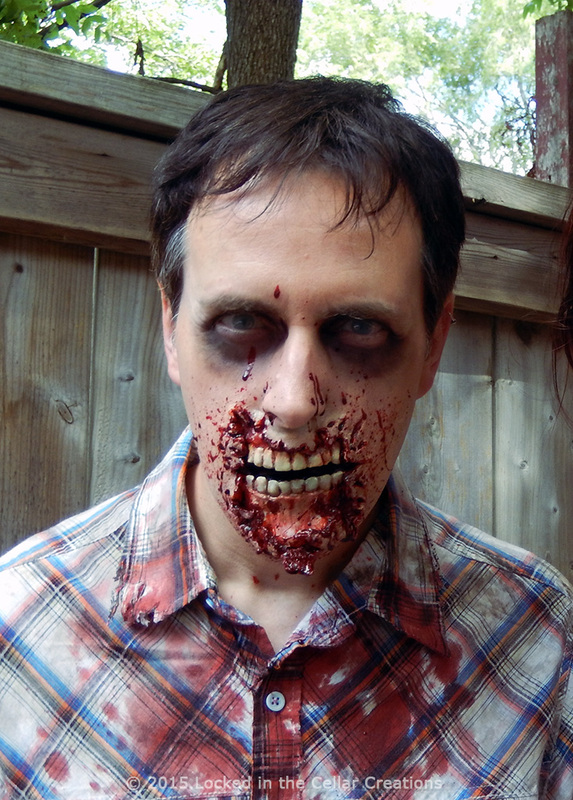 The Zombie Mouth Prosthetic a two-piece prosthetic: you’ll apply a separate piece for your top lip and your chin. This means you can still talk, eat and drink with it (though I won’t lie: small foods and the use of straws is recommended if you want the make-up to stay nice). We craft our prosthetics individually out of tinted, flexible latex, with super thin edges for easy blending. Then we pre-paint the prosthetic with high attention to detail: we give the teeth a realistic look with their glossy top coat, the gums an eerily lifelike pink, and the bloody areas a deep red. Finally, finish your application off with lots of blood splatter, and everyone will run away screaming (or run up to you and ask for selfies, lol). Choose your best match from our 3 skin tones! We do recommend applying mouth prosthetics on cleanly shaven area’s – the prosthetic will sit nicer on the skin, and liquid latex and other adhesives are (literally!) a pain to remove on facial hair. – The injury is pre-painted with high attention for detail. Our signature painting technique makes the teeth & gums look very lifelike. – Recommended for use on adults, but will also fit large chinned teens. NOT recommended for young children. – Liquid latex, adhesive and theatrical blood required. NOT included. The mouth prosthetic was easy to work with and made my job so much easier and the 2 people who had to wear them all day loved the endurance and flexibility they had through out their day. Thank you! 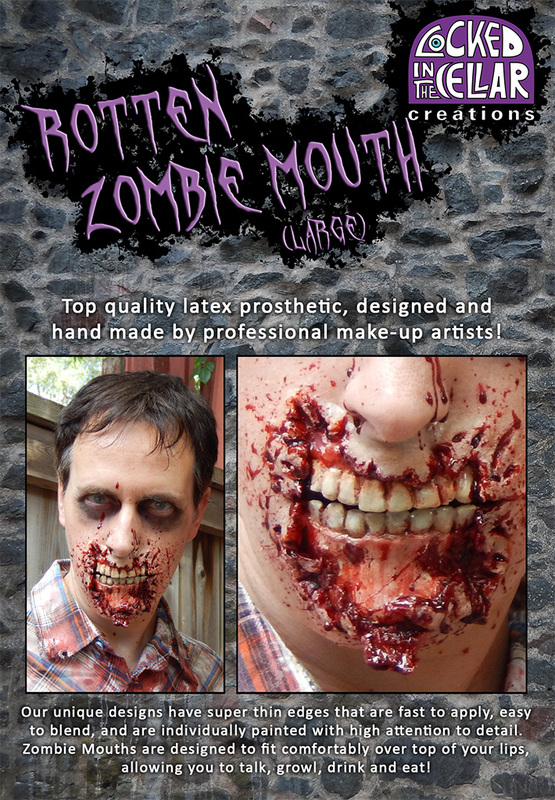 Fantastic prosthetic went as a Zombie for a con and I purchased this product lots of people loved it !